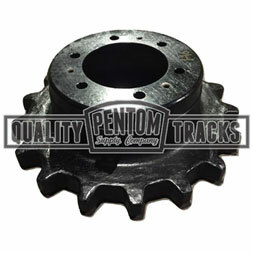 Aftermarket replacement rubber tracks and sprocket bundle for Bobcat T250 through T320 compact track loaders. Set of two 18 inch wide tracks and two sprockets. 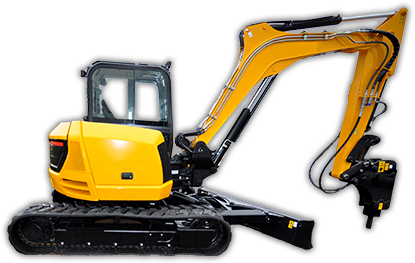 This is the aftermarket replacement rubber track and sprocket combo package for the Bobcat T250 through T320 compact track loaders. We always suggest changing your sprockets and tracks at the same time for optimal wear and extended life of your undercarriage. Buying the bundle saves you 5% and helps maximize your investment by getting the most out of your purchase. 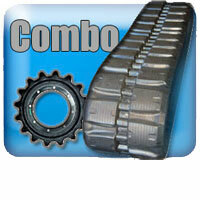 This package includes two sprockets (6715821 or 7107787) and two 18" rubber tracks (MEPC-0506). The track included has 55 links. There is also a 52 link option, part number MEPC-0502. 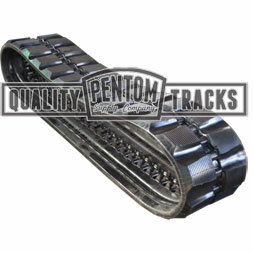 Please verify your sprocket depth and number of track links before placing order. 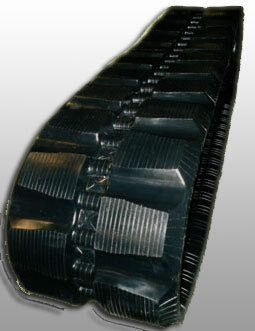 This is the staggered block tread option; if you prefer the aggressive C-Tread style please specify in comment section. Call if you have any questions.